Websites appear and disappear every day. The internet is an amorphous beast, constantly being edited and updated. We accept these changes as simple fact, but crucial information is frequently removed from government websites—and small changes over time can have major downstream consequences. I made the disturbing discovery recently that, amid a dramatic five-year spike in aviation accidents, the Navy has put aviation safety data that used to be public behind a wall. I bumped into this change while researching for the documentary film Who Killed Lt. Van Dorn?, which uncovers the long history of negligence and institutional failure surrounding the 53E helicopter, the deadliest aircraft in the U.S. military. I lost a high-school friend in the 2014 training accident that killed Wes Van Dorn, and soon after, I began investigating why he died. The safety data on Navy accidents that is now blocked was public when I began my reporting, and it was indispensable in producing what was first a newspaper series, then an NBC Nightly News investigation, and now a feature documentary. Without that safety data, these stories would have been far more difficult to tell. The decision to suppress this data from public view came as the Navy, which also oversees Marine aviation, was dealing with headlines pointing out that its safety problems are increasing faster than any other branch: The Navy has seen an 82 percent spike in accidents between the 2013 and 2017 fiscal years, while the overall military increase for that same period of time is 40 percent. The Navy’s decision may be part of a larger trend. 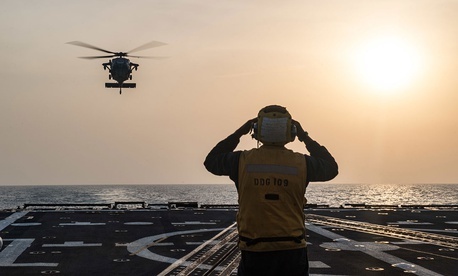 In May 2017, the foreign-policy magazine National Interest obtained emails from top Navy officials discouraging the disclosure of readiness numbers—figures that report how many aircraft are ready to fight in the event of a major conflict. At the time, nearly two-thirds of the Navy and Marine F-18s were unfit to fly. In 2015, the Marines’ CH-53E fleet was in even worse shape, with just 23 percent of aircraft able to fly a mission. A March 2017 email from the Pentagon spokesman Captain Jeff Davis instructed the heads of public affairs across the military to “be cautious about publicly telegraphing readiness shortfalls.” The guidance reportedly came from Secretary Mattis himself, according to National Interest. “There have been a series of removals of information from the public domain,” said Steven Aftergood, the director of the Federation of American Scientists Project on Government Secrecy. He pointed to the Defense Department’s decision last year to stop publishing active-duty-troop numbers in Syria, Iraq, and Afghanistan; these numbers had been posted online for more than a decade. The Department also removed past troop numbers from its quarterly reports and issued conflicting numbers of troops active around the world. It’s unclear whether the Navy’s decision to remove the data was a product of Davis’s email guidance. The Naval Safety Center, a Navy command dedicated to working on safety issues, told me that the decision was simply made as part of a website redesign. It was “definitely not directed by Secretary Mattis or part of any directive issued by him,” said April Phillips, the Naval Safety Center’s public-affairs officer. 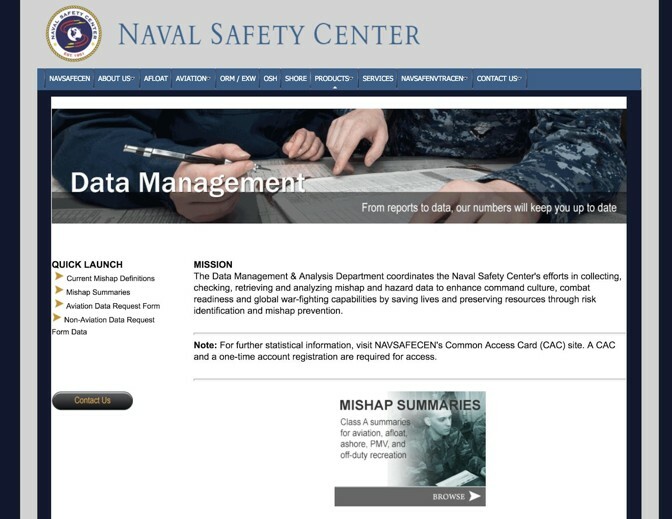 A screenshot of the Naval Safety Center Website as it appeared on January 22, 2018, before data was removed. 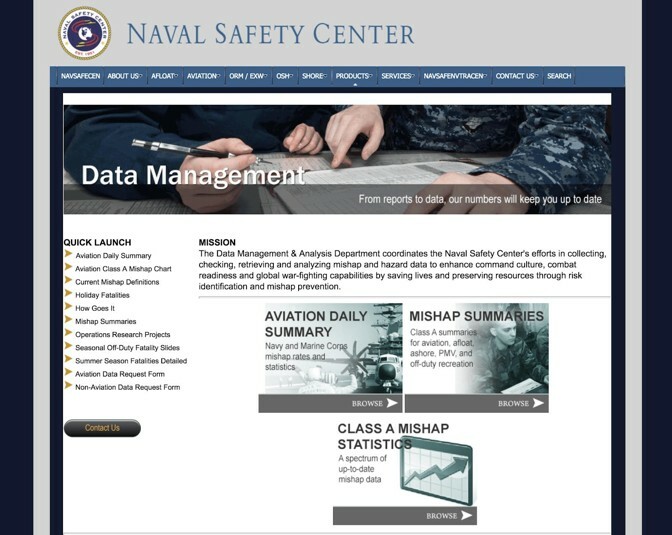 A screenshot of the Naval Safety Center Website as it appeared on March 18, 2018, with several links removed. The value of the removed data sets was made clear in 2016, when this information helped inform my report with The Virginian-Pilot that a potentially catastrophic safety issue had gone unaddressed and led to the grounding of more than 150 Navy and Marine Corps helicopters. I relied on these data sets to learn the condition of Navy and Marine Corps aviation. How often were aircraft crashing? How did that number compare to prior years? Which aircraft were most accident-prone? Without being able to access these records directly, the public has to rely on an understaffed and overworked team that handles public-records requests. While it’s possible I could have done the same work under current conditions, it’s certain that reporters interested in Navy and Marine Corps aviation safety will now have a significant barrier to overcome, a barrier that none of the other military branches have put up. The public no longer has easy access to detailed summaries of accidents, data on accidents by aircraft types, the comparative information provided by annual safety data, and other safety reports and studies. The removal of this data from public view is troubling for aviators themselves, too. Their aircraft may now face less scrutiny both from the public and from reporters. So I emailed a Navy representative to ask about the change. The Air Force’s clear handling of its public data raises an obvious question: Are the security concerns of the Department of the Navy really that much greater than those of the Air Force? Even though the Navy’s accident data will hypothetically still be available through a request system, the act of making the data private effectively makes it secret. “Most people, including most reporters and official oversight personnel, are not going to take the trouble to uncover suppressed information of this kind,” Aftergood said. Small changes to government websites will inevitably go unnoticed by the public, and there’s no telling what information is slowly and irrevocably slipping out of reach.